Apple has ranked tops in a study of company intimacy. In an online study of 6,000 people worldwide, Apple (AAPL) was named the most intimate brand, topping Disney and Amazon, MBLM, an agency that attempts to build emotional connections between people and companies, reported on Thursday. The study, which was conducted last year by Praxis Research Partners, aims at understanding what kind of emotional bond a person might have with a company and its products. “Brand growth starts and ends with emotion and the quantity, quality and character of the bonds formed with customers,” Mario Natarelli, MBLM’s managing partner, said in a statement. According to Praxis Research Partners, the study asked participants to identify the strength of consumer relationships with different companies. That intimacy translates to real financial performance, MBLM said. In fact, the top intimate brands in the study were found to have generated billions more in revenue and profits compared to those with less intimate connections to customers. 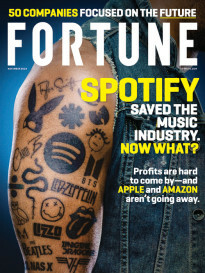 The average Fortune 500 company, for example, would have generated an additional $2.9 billion in profit last year had it been among the most intimate brands. According to MBLM, Apple secured the top spot by ranking high in several metrics, including how frequently consumers used its products and the ways in which its products enhanced user lives. Consumers also said that Apple, more than any other company, makes products they “can’t live without.” Apple scored an overall intimacy quotient of 77 in the study. Apple also sits top Fortune’s list of the World’s Most Admired Companies. Disney (DIS), which had an intimacy quotient of 73.1, landed in second place in the study, due in no small part on its “nostalgia” factor, which endeared it to consumers. Amazon (AMZN) ranked high among consumers who saw the e-retail giant’s marketplace as a destination they often visit to get deals. MBLM noted that Netflix (NFLX) has soared in brand intimacy in the last year. In 2015, the company ranked 25th in the brand intimacy report. 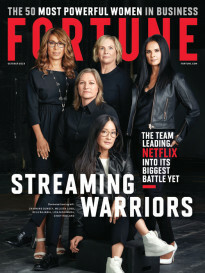 Last year, the video streaming company found its way into the fifth spot behind Harley-Davidson with a quotient of 61.2. Netflix, which has become a daily destination for 55% of respondents, could soar to even greater heights in 2017, MBLM said. “We believe [Netflix] still has untapped potential,” Natarelli said. One other tidbit from the study: MBLM discovered that 16% of consumers would pay 20% more for Apple products and still remain loyal to the brand. That figure nearly doubles the 9% of people who would generally accept 20% higher pricing on other technology products.